Separation anxiety frequently holds marriages together. Not all marriages should be saved. The couple may want to separate, but they are afraid of it. The fear is "If I leave the relationship, then I'm never going to get the love I have wanted." This fear is based in emotional irrationality and only serves to perpetuate the couple's unhappiness by defining themselves as victims of the relationship rather than active participants. Victimhood leads to resentment and resentment leads to anger. Anger eventually kills the love that we feel for the other person, but it can also immobilize us from taking right action. We can organize our thoughts in such a way through our anger at the other person that we are unable to see that we do have choices. We then become trapped in our anger and as a result feel trapped in our relationship. Instead of taking the action that we need to liberate ourselves, we blame the other person and remain stuck in an unsatisfying relationship. Our anxiety about establishing a new life for ourselves becomes bound up in the anger we experience with our partner. Yes, this is a way of avoiding the unpleasant feeling of anxiety for beginning a new life. However, we remain stuck in a very uncomfortable old position in a relationship that no longer functions a way we would like. To begin getting out of victimhood, you have to take responsibility for your half of the problems in your relationship. Only by letting go of the conflict will you begin to heal and see your way more clearly in creating separate lives. You will also need to learn how to negotiate with your erstwhile partner without allowing emotions to override clear communication. A divorcing couple needs to transform their relationship into a business relationship. If you chose to divorce, you need to know how to separate while significantly reducing the damage, both emotionally and financially, that comes from a divorce. If possible, mediation is a good way to go. It is a more cooperative and less adversarial way of separating hearts, finances and lives. According to recent studies the time around Valentine’s Day has increasingly become a time when people either break up or seek a divorce. It is been estimated, that filings can skyrocket by 40% or more at this time of year. It may be that people wait to file till after the New Year for file for financial reasons, or for reasons of getting past the holidays without drama. It is also a time when people who are in relationships, but not married, also find themselves breaking up. It may be that at Valentines, people become nostalgic about love. They compare their own love situation against the background of advertising in the media with lovers presenting each other with romantic cards and jewelry and flowers and feel they come up short in their own relationship. It is not surprising that the rate of people breaking up and/or filing for divorce goes up at this time of year. By comparing themselves to others, they may be reaching out for unrealistic expectations within their own relationship. Seeing happy lovers on the television sharing their love may cause them to feel an internal sense of isolation or dissatisfaction for the relationship in which they are involved. If you are alone at this time of year, or if you are single, you may feel even more alone in the world at this time. This holiday may reinforce your feelings of being unworthy or unlovable. And it certainly it can underscore your sense of being alone especially if you hold any misgivings about being alone. Valentine’s Day can raise our fantasies and beliefs about love to an unachievable height which may lead to dissatisfaction in our own lives whether we are in a relationship or not. In some ways, Valentine’s Day can trigger feelings of dissatisfaction with those who are in relationships as well. Especially if we have either unrealistic expectations of our partner, or unrest realistic expectations of what love itself can do for us. 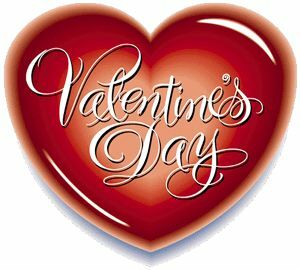 Valentine’s Day celebrates the ecstasy of falling in love. But a relationship takes much more than love and the exchanging of cards and flowers if it is to survive. It takes work, it takes commitment, it takes support, and it takes acceptance of the other, as they are, without criticism. If you’re in a relationship at this time, use Valentine’s Day as a time to recommit to your relationship, to work on it, and to enjoy all that it reasonably offers as a partnership in life. If you’re alone on Valentine’s Day, go out with your friends and use this time to reaffirm your friendships and your ability to feel loved by others who are close to you.